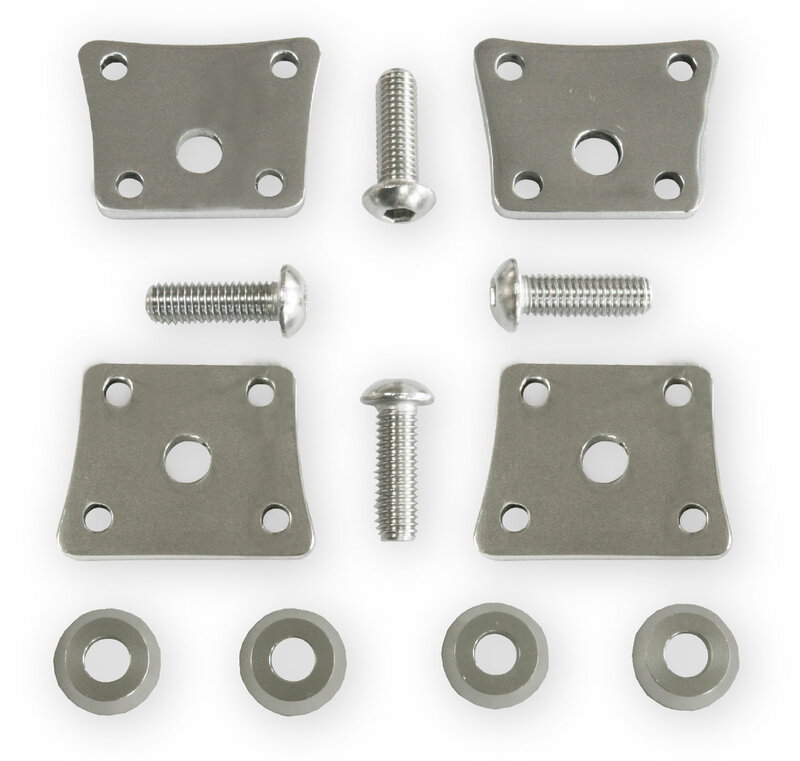 Tired of your lackluster or corroded fuel tank clamp plates every time you open the front lid? Evidently, some minor manicuring is in order. Ours are 5mm thick stainless steel for prolonged durability and polished to show standards. Spoil your BUG, Karmann Ghia, or Type III and give it the additional sprinkle it deserves! Kit comes complete with fully polished stainless steel clamp plates(4), stainless steel bolts(8), our signature washers(4).